If you are not an American citizen and you are interested in working in the United States you will need a social security number to be employed in the U.S. Here's information on eligibility for a social security number, and how to get a social security card for foreign workers. 1. The most common type issued has the person’s name and social security number. This type is typically given to U.S. citizens and legal permanent residents. 2. The second is designated for temporary workers or those in non-immigrant status. They are valid for employment “with DHS authorization” and can be used to satisfy I-9 eligibility requirements. 3. The last type is issued for tax purposes and cannot be used with the I-9 form or toward employment. Temporary workers and those in non-immigrant visa status who are authorized to work in the United States by the Department of Homeland Security (DHS) can get a Social Security number (SSN). Social Security numbers are used to report wages to the government and to determine a person’s eligibility for Social Security benefits. A Social Security number is needed to work and to collect Social Security benefits. Only non-citizens authorized to work in the US are eligible for a Social Security number. Those on a non-employment based temporary visa (like ESTA) without work authorization are not permitted to apply for a social security number. 1. If you are age 18 or older, you can apply for a social security number in your home country when you apply for an immigrant visa with the U.S. Department of State. The U.S. government will use the same information that you give to apply for an immigrant visa to apply for an SSN. Your social security card will arrive at your mailing address about three weeks after you arrive in the US. If you apply for the Social Security number outside of the U.S., you do not have to visit an American Social Security office after entry into the United States. 2. If you are not an immigrant or did not apply for a Social Security number when you applied for an immigrant visa, you must bring your petition and approval notices showing your legal immigration status and approved authorization to work in the United States. Then you should apply for a Social Security number and card by visiting a Social Security office in the U.S.
Two original documents proving your identity, immigration status, work eligibility, and age. As far as documentation, for example, a work permit can be used as proof of both your identity and work-authorized immigration status. Some other acceptable documents to prove your work authorization can include your immigrant visa, an employment-based admission stamp, the I-94 Arrival/Departure Record, and any work permits or Employment Authorization Documents (EAD). Your birth certificate or passport may serve as proof of age. However, you need two separate documents to prove eligibility for a social security number. International Students or Foreign Exchange visitors (J-1, J-2, F/M-1) are able to work on a part-time basis and must bring additional documentation to prove their status. For J Visas, the DS-2019 Certificate of Eligibility for Exchange Visitor Status is required. For international students, most recent I-20 Certificates of Eligibility for Non-immigrant Student Status are required. 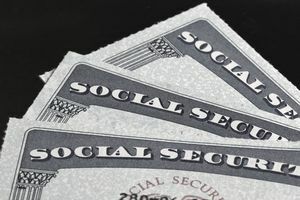 Original documents are required to obtain a social security card. Photocopies and even notarized copies will be rejected.